Two fairly recent (in 2013) forays by Richard Dawkins into the public sphere as a proponent of Science and scientific values versus Religion provide revealing direct quotations concerning his position on science vs. religion issues. Inspiration can ~ occasionally ~ trounce Reason!!! On Thursday, 31 January, 2013 Richard Dawkins participated in a debate on the motion - This house believes that Religion has no place in the 21st Century - held at the Cambridge Union Society; a famous 200-year-old debating club associated with Cambridge University in England. As the debate began it was stressed that it was the place of organised religion that was being considered rather than individual religious endeavours or searches for meaning. During his turn to speak, (immediately after the contribution of a recently retired Archbishop of Canterbury), Richard Dawkins, surprise, surprise, favored of the motion. "to a scientist, however, what's really objectionable about religion is that we should be satisfied with a non-explanation to a difficult question instead of working hard to provide a real explanation". "a cop-out: a betrayal of the intellect, a betrayal of all that's best about what makes us human, a phony substitute for an explanation, which seems to answer the question until you examine it and realise that it does no such thing. Religion in science is not just redundant and irrelevant, its an active and pernicious charlatan. It peddles false explanations, or at least pseudo-explanations, where real explanations could have been offered, and will be offered. Pseudo-explanations that get in the way of the enterprise of discovering real explanations. As the centuries go by religion has les and less room to exist and perform its obscurantist interference with the search for truth. Richard Dawkins' yet more recent and, indeed, notably high-profile project, a documentary film entitled The Unbelievers prepared in intellectual collaboration with a physicist named Lawrence Krauss, has also provided those interested in his views with an opportunity to review direct quotations and quotes which reveal Richard Dawkins' thoughts on science vs. religion. [As we shall see this intellectual collaboration began after Richard Dawkins and Lawrence Krauss first met and experienced something of a meeting of minds on science vs. religion related issues]!!! The trailer moves on before Dawkins' answer can be heard. Richard Dawkins and Lawrence Krauss subsequently gave many joint interviews in association with the The Unbelievers film's official premiere where their respective views in relation to the science versus religion controversy were openly voiced. 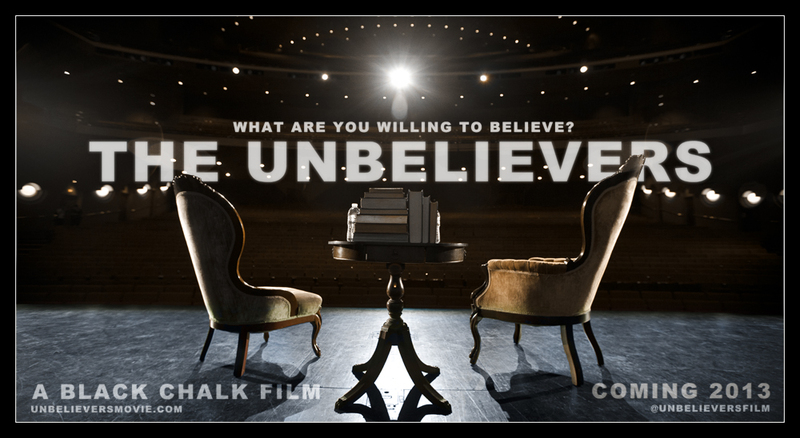 On the morning of 30 April, 2013, Richard Dawkins and Lawrence Krauss were jointly interviewed by Steve Paikin in relation to their documentary film The Unbelievers which had premiered the previous evening. Evolutionary biologist Dawkins and theoretical physicist Krauss recounted that when they first met they had a wide-ranging debate specifically about, as Dawkins said, "whether we should have a kind of full-on attack on religion or whether we should, as Lawrence preferred, seduce them." When Steve Paikin suggested to Dawkins that he preferred "all-out" attack Krauss, laughing, seemed to agree and said "and I prefer to seduce them." Richard Dawkins and Lawrence Krauss agree that both approaches have merit depending on the nature of the people being targeted. Krauss explained that this is really "a strategic question." Lawrence Krauss described this debate as having been "a really substantive discussion which I found enlightening". That, initial, debate between Richard Dawkins and Lawrence Krauss seems to have given rise to an intellectual and personal friendship between the two scientists. Krauss, speaking of that debate, "thought (it) to be an interesting dialogue to try to put down", and Richard Dawkins remembered a joint article having been prepared outlining their debate, which was subsequently published in a popular scientific magazine. As the interview proceeds the science vs. religion issue is fairly directly touched on in ways which yielded several quotations and quotes worthy, in efforts to understand Richard Dawkins' and Lawrence Krauss' intellectual outlooks, of transcripted repetition. "What would you like people to take from The Unbelievers having seen it?" "I'd like them to be stimulated to think, to think critically, to go away and to think about it afterwards, to talk about it afterwards. To have their beliefs shaken a bit, shaken enough that they'll discuss them with each other. Discuss it with themselves and maybe come to a different conclusion." Shortly thereafter, in reponse to Steve Paikin's question "are you concerned that only atheists are going to see The Unbelievers?" "I agree with Richard that the point of this is to stimulate discussion. And that I like to think that we don't preach. In the sense that we are not trying to tell people what to think. We're just trying to encourage people to (A) question - and everything should be subject to question - including Religion... ...the second thing is there is a lot of discussion of the beauty and wonder of, and Richard describes this beautifully in the film in my opinion, the beauty and wonder of the Universe." "How would you characterise the following person; he, or she, is utterly uninterested in the question of whether God exists but he or she considers himself, or herself, deeply spiritual. How do you characterise that kind of a person?" Steve Paikin interjects:- "That's not the spirituality that I'm thing of." Richard Dawkins resumes:- "Well it's the spirituality I'm thinking of..."
... the spirituality of science is better than the spiritualty of religion because it is real. But I will say that I think the person you are describing, and there's many of them, is a new breed of people, more and more people are becoming disillusioned by organised religion because of information, by realising how silly it is ultimately, but they don't want to lose what they are getting from organised religion so they transfer to this concept of spirituality - a oneness with the universe - and I think that people like that - we are hard wired, I think, to want that and there are many things that religion provides that we are hard wired for, the key thing for me is sure we recognise that religion provides things consolation, community, but the key thing is that it doesn't have to be religion that provides those things." Steve Paikin interjects:- "Did I hear you just say we are hard wired to find spiritual meaning in life." Lawrence Krauss resumes:- "I think, certainly, yea, I think we are - there is evolutionary advantages I think..."
Steve Paikin:- "So the quest for God, or a belief in God, is not illogical at all? We are hard..."
Richard Dawkins to Steve Paikin:- "You just said to me that that is not the kind of spirituality I'm interested in. What kind of spirituality are you interested in?" Steve Paikin:- "Well I guess I was thinking about ... people may not feel the need to go into a house of worship and yet they somehow still have a connection to the morality that comes out of religion..."
Richard Dawkins:- "Morality is another matter......"
Lawrence Krauss to Steve Paikin:- "You just jumped in - you said that wasn't irrational - the point is just because we're hard wired to do something doesn't make it rational. We're hard wired to do a lot of things that aren't rational. We're hard wired to be xenophobic in some ways, its not clear love is rational, and so there's lots of aspects of being human that don't relate to being rational - and understanding that is important if we want to deal with the real world and to try to make the world a better place." Steve Paikin:- "So Science can be spiritual?" Richard Dawkins:- "You are playing with words ... It depends what you mean, if you mean something supernatural, no, if you mean what Lawrence just called awe and wonder, and what Carl Sagan would have called awe and wonder, yes, certainly." Lawrence Krauss:- "And we should celebrate that - that's the point - I mean people think science takes away - I mean we're not the first ones to say this - as Richard said, Carl Sagan said it you know - Richard Feinmann - talked about how understanding how a rainbow worked doesn't make it less beautiful it makes it more beautiful but somehow people get the sense that science is cold hard facts and therefore boring and also dehumanising and I think my goal, and I believe Richard's goal, is to disabuse people of that misconception. Science is wonderful, it's fun, its exciting, its enjoyable and pleasing to understand as listening to a sonnet or listening to a beautiful piece of music." "Is it your hope or expectation that you can, in your words I guess, rid this world of religion?" "I'm not sure how soon, I think religion is declining, Christianity is declining throughout Christendom. And I think that that's going to continue. If you look at the broad sweep of history, it's clear that the trend is going in the right direction. I'm not so optimistic now that it will be in my lifetime, but it will happen, yes." ...It can be helped, and I believe very importantly, by pointing out that its OK to ask questions about religion like anything else." Some quotes from the page content of a Richard Dawkins Foundation for Reason and Science web page of June 2007, available, in early May, 2013, at http://old.richarddawkins.net/articles/1224, specifically mention the background to the first meeting and early collaboration of Richard Dawkins and Lawrence Krauss. An EDITORS' INTRODUCTION, suggests that an open letter Lawrence Krauss sent to Pope Benedict XVI in 2005, urging the pontiff not to build new walls between science and faith, led the Vatican to reaffirm the Catholic Church's acceptance of natural selection as a valid scientific theory. These two allies compared notes from the front lines during breaks at a conference devoted to discussing clashes between science and religion held at the Salk Institute for Biological Studies in San Diego late last year. In a dialogue they re-create here, the authors explained their respective tactics for engaging the enemy and tackled some of the questions that face all scientists when deciding whether and how to talk to the faithful about science: Is the goal to teach science or to discredit religion? Can the two worldviews ever enrich one another? Is religion inherently bad? In an extended version of their conversation available at www.SciAm.com/ontheweb, the authors also delve into whether science can ever test the "God Hypothesis." Krauss:- "Still another benefit science has to offer was presented most cogently by Carl Sagan, who, like you and me, was not a person of faith. Nevertheless, in a posthumous compilation of his 1985 Gifford Lectures in Scotland on science and religion, he makes the point that standard religious wonder is in fact too myopic, too limited. A single world is too puny for a real God. The vast scope of our universe, revealed to us by science, is far grander. Moreover, one might now add, in light of the current vogue in theoretical physics, that a single universe may be too puny and that one might want to start thinking in terms of a host of universes. I hasten to add, however, that enriching faith is far different than providing supporting evidence for faith, which is something that I believe science certainly does not do." Dawkins:- "Yes, I love that sentiment of Sagan's, and I'm so glad you picked it out. I summed it up for the publishers of those lectures on the book jacket: 'Was Carl Sagan a religious man? He was so much more. He left behind the petty, parochial, medieval world of the conventionally religious; left the theologians, priests and mullahs wallowing in their small-minded spiritual poverty. He left them behind, because he had so much more to be religious about. They have their Bronze Age myths, medieval superstitions and childish wishful thinking. He had the universe.' I don't think there is anything I can add in answering your question about whether science can enrich faith. It can, in the sense you and Sagan mean. But I'd hate to be misunderstood as endorsing faith." If we may be forgiven for saying so the main article available at the Richard Dawkins Foundation web site is poorly presented through not being particularly well formatted, (this is an an "old" article). The currently maintained Richard Dawkins Foundation web content appears at another URL. "The religion that is afraid of science dishonors God ... It acknowledges that it is not equal to the whole of truth, that it legislates, tyrannizes over a village of God's empires but is not the immutable universal law." "In old Rome the public roads beginning at the Forum proceeded north, south, east, west, to the centre of every province of the empire, making each market-town of Persia, Spain, and Britain pervious to the soldiers of the capital: so out of the human heart go, as it were, highways to the heart of every object in nature, to reduce it under the dominion of man. A man is a bundle of relations, a knot of roots, whose flower and fruitage is the world. His faculties refer to natures out of him, and predict the world he is to inhabit, as the fins of the fish foreshow that water exists, or the wings of an eagle in the egg presuppose air. He cannot live without a world". From Stephen Fry's March, 2001, appearance on Room 101. "Science can only ascertain what is, but not what should be, and outside of its domain value judgments of all kinds remain necessary. Religion, on the other hand, deals only with evaluations of human thought and action: it cannot justifiably speak of facts and relationships between facts." Comparative Religion similarities ~ A Proof of the Existence of God?